Deathlok is a cybernetic program that has been used to convert numerous ordinary people into super powerful cyborgs in the Marvel Universe. The characters that are converted are often referred to as Deathlok. 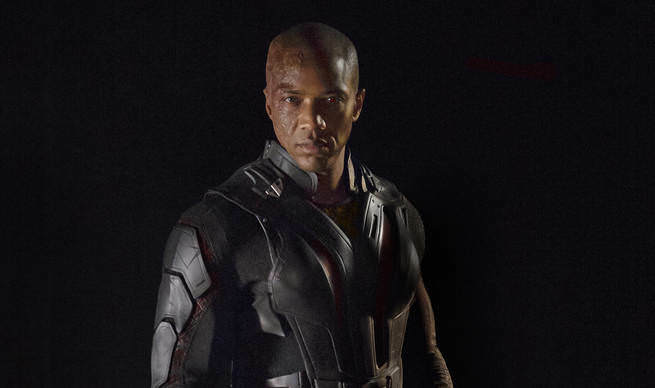 Deathlok has appeared in the Marvel TV series, Agents of SHIELD and is played by J. August Richards. Another character in the show John Garrett was also a member of the Deathlok program. Mike Peterson is to become? Agents of SHIELD Deathlok now in Comic Form? 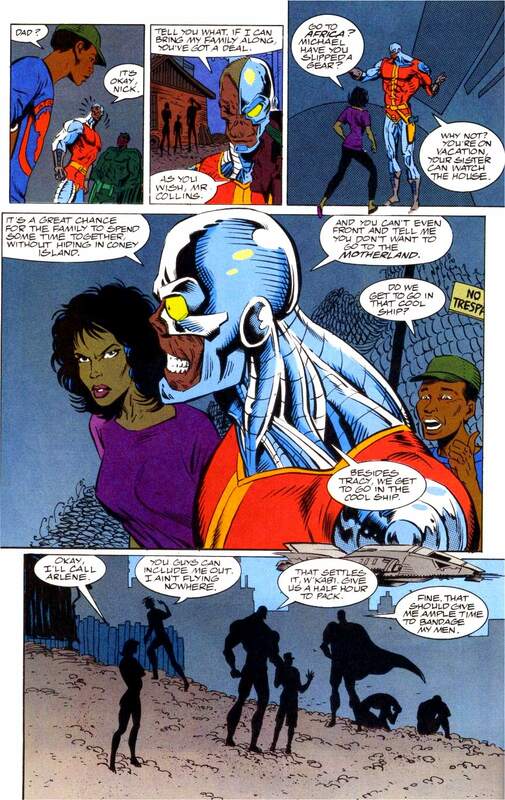 A scientist named Simon Ryker invents a variety of cyborg programs that will haunt the Marvel universe for many years including that of Deathlok. Deathlok is a super soldier program that takes a person's body and transforms it into a killing machine that follows the commands of a computer. The computer is set to be in control of a master that has typically been very bad. Ryker has also created programs like War Wolf that uses a large wolf body as its host as well as a SuperTank. Ryker's designs fell into the hands of the malevolent Roxxon corporation and were often used by their technology subdivision, Cybertek. Cybertek is just as amoral as their parent company and only differ in their singular focus on cybernetics. There have been multiple men trapped in a Deathlok body throughout Marvel's history. The first is the soldier Luther Manning. Luther Manning is a soldier who is killed in battle and then revived as a cyborg. He initially is a slave to the computer that dominates his transformed body but eventually wrests control back. 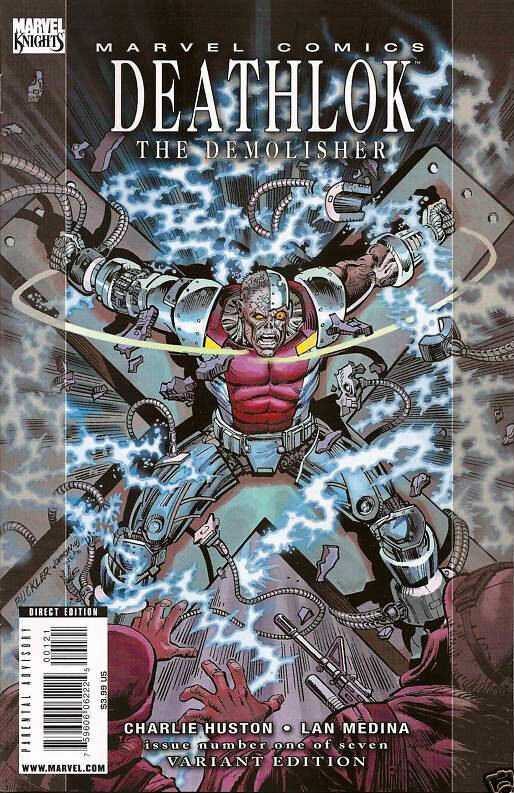 He uses the Deathlok body to battle Simon Ryker and other malevolent entities. John Kelly was a new Deathlok run by Harlan Ryker for the CIA. 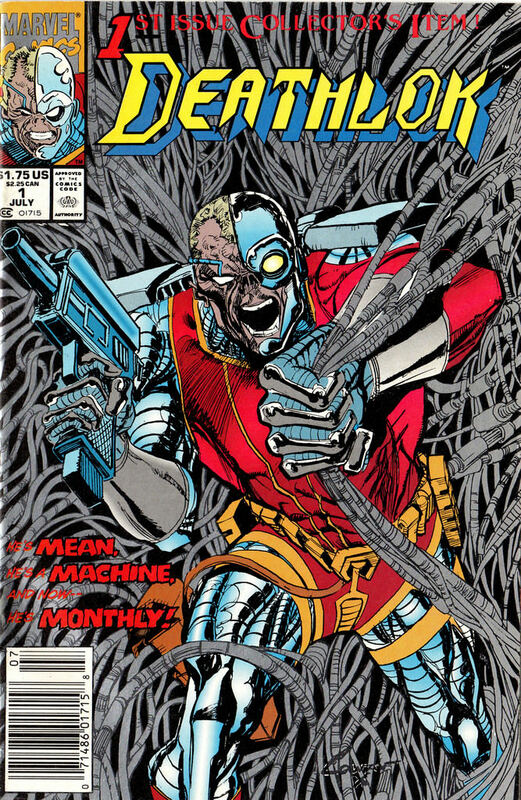 Kelly initially had the capability of running the Deathlok until the program began to attack his mind. Eventually, Ryker removed Kelly's brain. Michael Collins is a scientist working for company called Cybertek. He learns that the project he is working on is a dangerous weapon project called Deathlok. 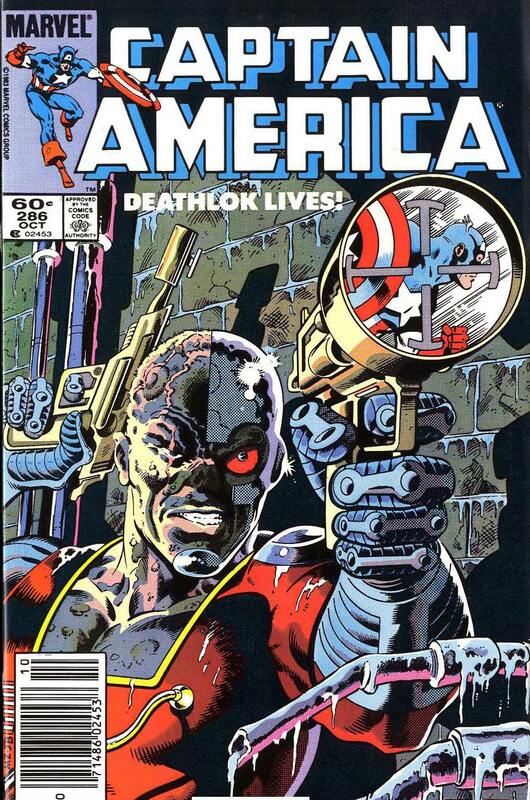 Upon discovering the truth behind the project he is shot with a sedative by Harlan Ryker and his brain is transferred into the John Kelly Deathlok's body. Kelly begins having the new Deathlok go on missions in South America hunting down rebels who are fighting Roxxon's interests. During a mission Collins conscious mind is awakened and is horrified at being trapped in a killing cyborg. Collins is a pacifist and can not abide by what he is seeing. He manages to insert a no kill parameter in the computer that saves a life of a small boy. 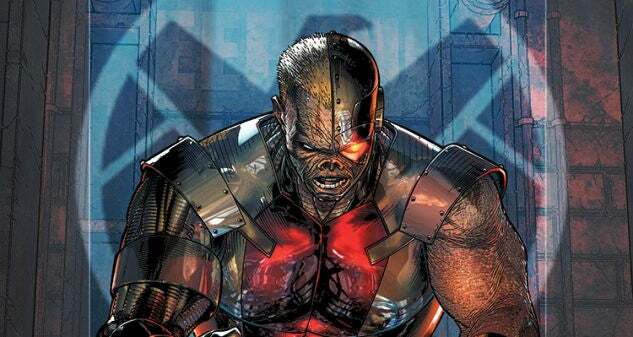 Initially, Collins control of the Deathlok is limited to these small insertions of code. The program must still try to complete its mission. 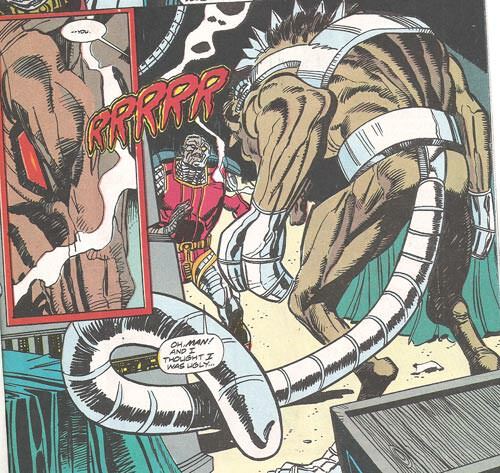 Eventually, Collins manages to take full control of the Deathlok body. Collins is very hesitant to return home to his wife and son. He worries that in his new state he could harm them or other wise put them in harms way. He does monitor them from a far. The main mission of Collins is to find his own body and return himself to normal so he can go home. Eventually, Nick Fury does locate his body, but it is then re-hidden away by Harlan Ryker. Collins also tells his family of his existence, they are angry he did not tell them sooner. Overtime he has many battles from both cybernetic threats and super human. He takes on a new War-Wolf, a burgeoning A.I. from an evolved Doombot called Mechadoom, Silver Mane, and Moses Magnum. Deathlok joins a group of heroes who battle the chaotic forces of Carnage in Maximium Carnage. Henry Hayes is a doctor who loses his leg. He goes to a company called Biotek who give him a specialized prosthetic leg, however they also brain wash. When he hears the words "Whiskey David" he is switched under the control of the Deathlok program. He then is controlled to perform tasks such as fighting and assassinations. A SHIELD agent learns of Hayes identity and confronts him in a train station. Hayes programing kicks in and he assassinates the SHIELD agent and makes it appear as though the man committed suicide by overdose in a train station restroom. 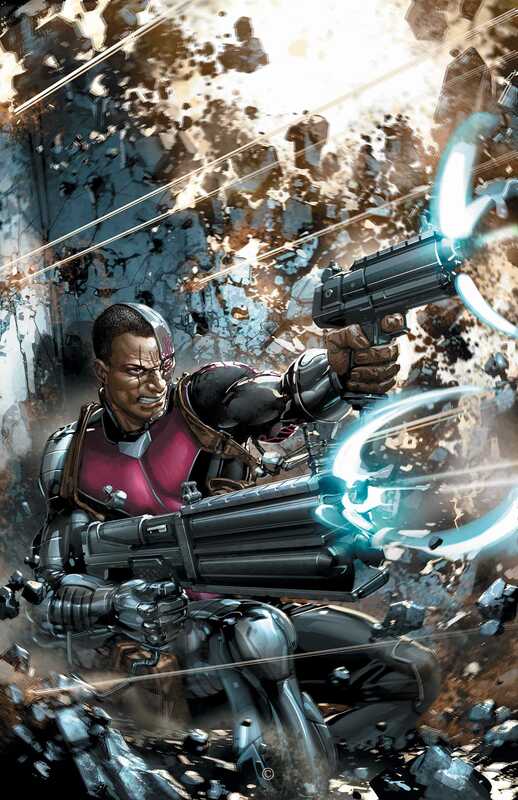 Hayes is the current Deathlok in the Marvel universe. Can connect with computers, quickly download data, control and interact with them. Also has a wide range of equipment and weapons with various capabilities. These include laser guns, conventional weaponry, EMP pulses, and missiles. Michael Peterson is a test subject in project Centipede. Centipede is a superhuman project led by a man who calls himself the Clairvoyant. Many of the centipede subjects are exploding. A SHIELD team led by Agent Coulson manages to shoot an antidote into Peterson that saves his life. He then joins SHIELD as a super soldier. Peterson is later kidnapped after being on an exploding bridge. His damaged body is given cybernetic parts from the Deathlok program. He is also given a robotic eye that allows the Clairvoyant to see his actions. The Clairvoyant then kidnaps Peterson's son and uses him as leverage to force Peterson to do what he wants. The Clairvoyant is revealed to be a SHIELD agent John Garrett, himself a former subject of the Deathlok program. At the end of the Season SHIELD manages to free Peterson's son and he turns on his former captors. After a new SHIELD group attacks Coulson's team. Coulson calls in Peterson to assist. Peterson has been further upgraded through various devices created by SHIELD. He is blasted and captured by Hydra who begin to experiment on him. He is then rescued by the SHIELD team. Here are some of our favorite Deathlok panels and pieces of Deathlok art. 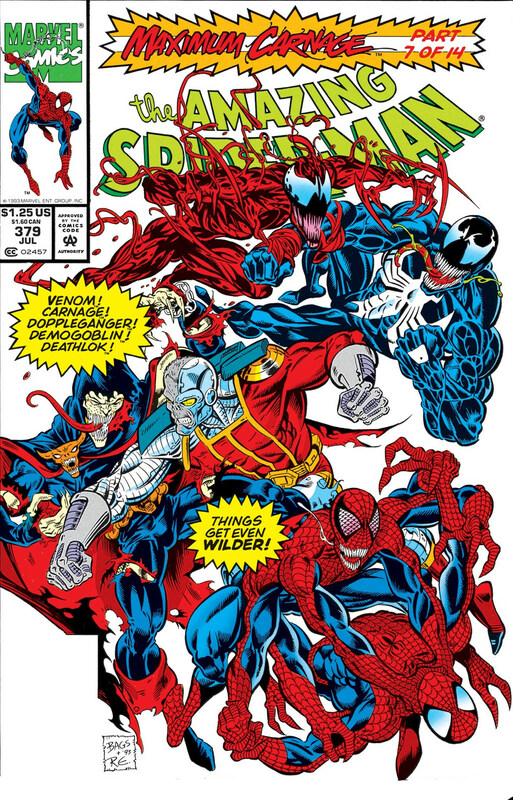 Here is a cover that features Deathlok taking part in the Spider-Man event Maximum Carnage.